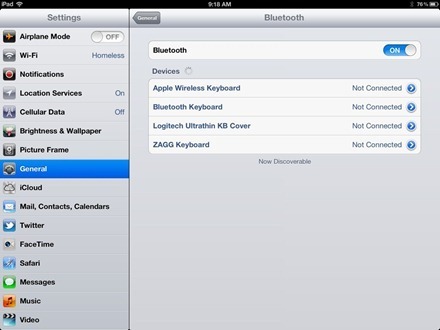 Are you having problems trying to pair up the Bluetooth keyboard with your iPad? I tried to pair up the folio case and Bluetooth keyboard from e-Kit, but then I got disappointed. It could not be recognized at all each time I tried turning on the Bluetooth on my iPad. The Bluetooth keyboard was on and connected. 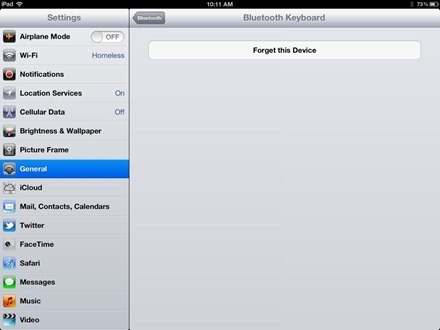 I then turned on the Bluetooth in the settings on my iPad. Well, everything went well at that moment since the iPad listed the ZAGG BT keyboard with everything it had paired with previously. Too bad since it could not discover devices that were new to the settings in the iPad. I was left with no choice but to try turning the keyboards power on and off a couple of times. I also tried to turn the Bluetooth on the iPad on and off just to try and see if it would pair up. I focused my attention on the list of the devices that had already been paired. I could only see one device that had been listed as the Bluetooth Keyboard. Previously, I had been trying to tap on the device not less than once. The iPad could not pair up with the Bluetooth keyboard, instead it kept indicating that I should check the power status and other options first since the device was not available. I realized that the e-Kit keyboard had not displayed itself with the same generic name which is called Bluetooth Keyboard. Finally tap forget the device. 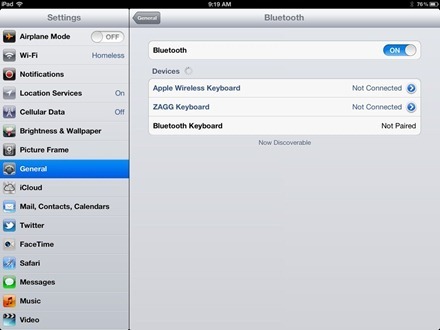 Secondly, put the keyboard in a discoverable mode by pressing the Bluetooth button. Go to settings on your iPad. This is likely to be found on the home screen. Then you can now turn on the Bluetooth. This can be found near the top of the setting to the left of the screen. By tapping the Bluetooth touch button. The switch will turn green to show that it is enabled. Once the keyboard name appears on the listed devices, tap on it. If the name does not appear for more than a minute, you can try to disable and enable the Bluetooth. Finally, wait for the Bluetooth keyboard and the iPad to pair completely. Make sure that you are within the required range. When your iPad is more than 30 feet away then it will barely connect. Finally, you can update your iOS to the latest version. This can help fix issues with the Bluetooth device.